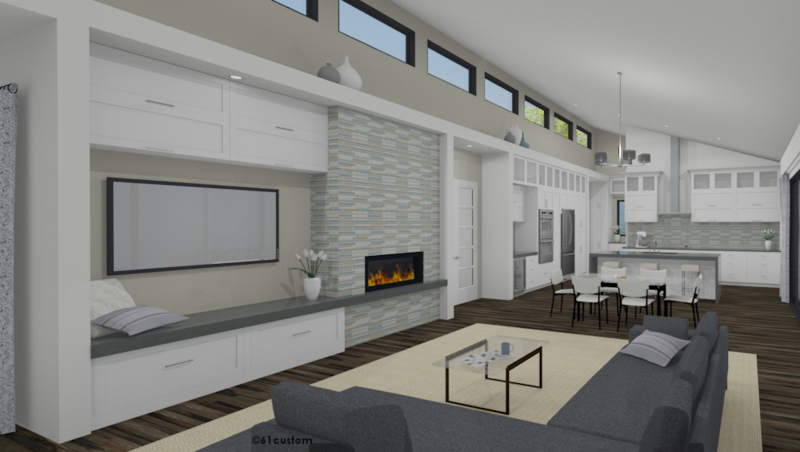 61custom offers photo-realistic 3d renderings of interiors and exteriors of homes. Learn more about our house plan rendering services. 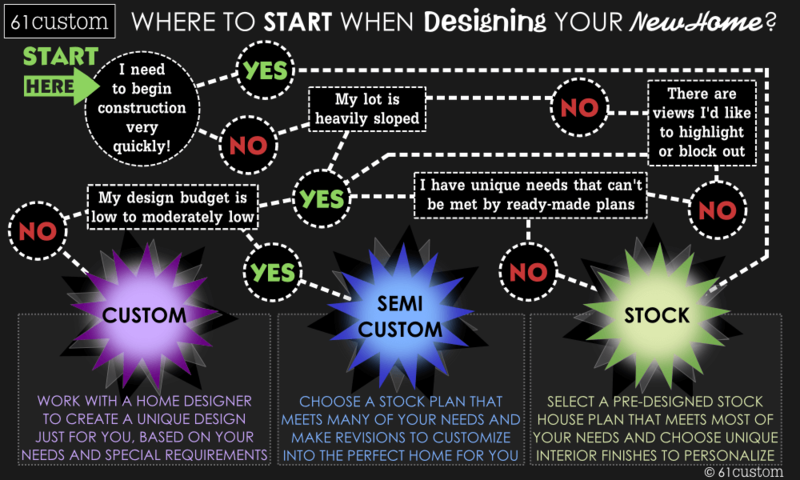 A comparison of stock house plans, semi-custom home plans, and custom home design. 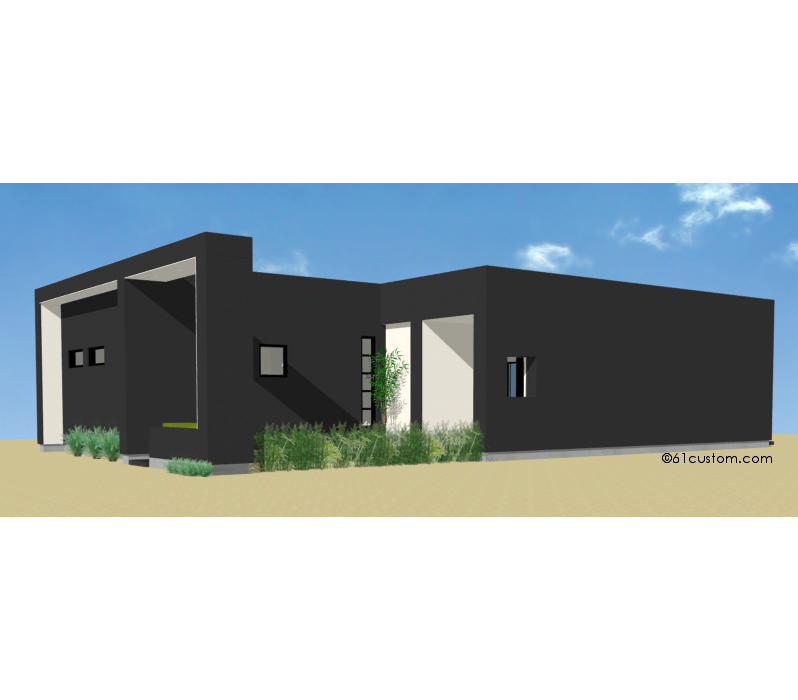 The studio900 and elevenSIXTYtwo house plans are small, modern homes with an inviting front courtyard. Both plans offer a large greatroom with an open kitchen, and an island with breakfast bar seating for six.